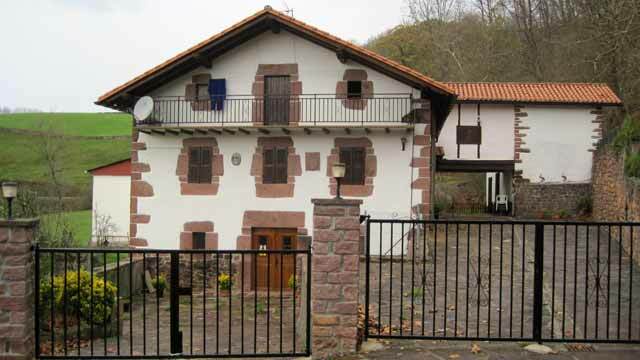 Traditional rebuilt and isolated house, 2 km away from the heart of the town. It maintains the hardwood and the original stone of the building. The house is in Arraoiz, locality located in the Valley of Batzan, in the Atlantic Pyrenee, of soft green hills and robust cottages. It is very close to the lordship of Bertiz, is a good point of starting to visit the caves of Zugarramurdi or Urdax or beautiful villages like Elizondo, capital of the Valley. The house has five double bedrooms, one of them with double beds, 2 bathrooms of shared using, one of them with hairdryer, room of games with Tv and table games and living room-dining room with TV, stereo and kitchen in the living room, it is equipped with microwave and dishwasher. It also has terrace with furniture.